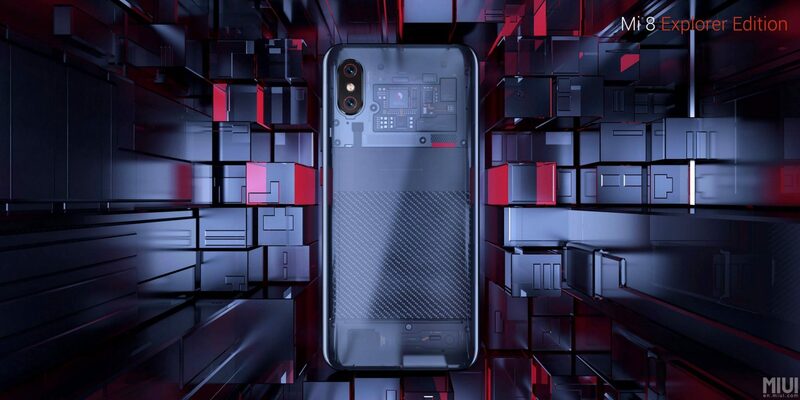 Xiaomi announced three smartphones today that include Xiaomi Mi 8, Mi 8 SE and the Xiaomi Mi 8 Explorer Edition. We have already talked about the Mi 8 and Mi 8 SE in the previous articles but the Mi 8 Explorer Edition is probably one of the best looking phones from the company. 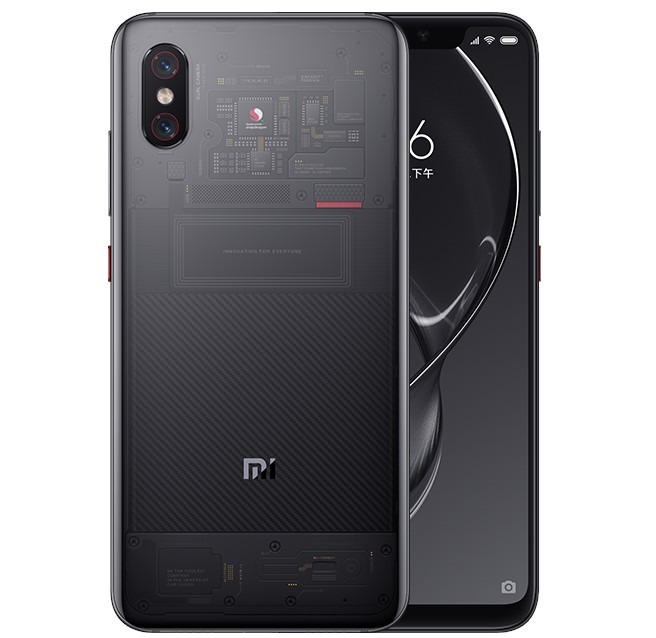 Most of the design remains the same as Mi 8 and same is the case with the specifications. 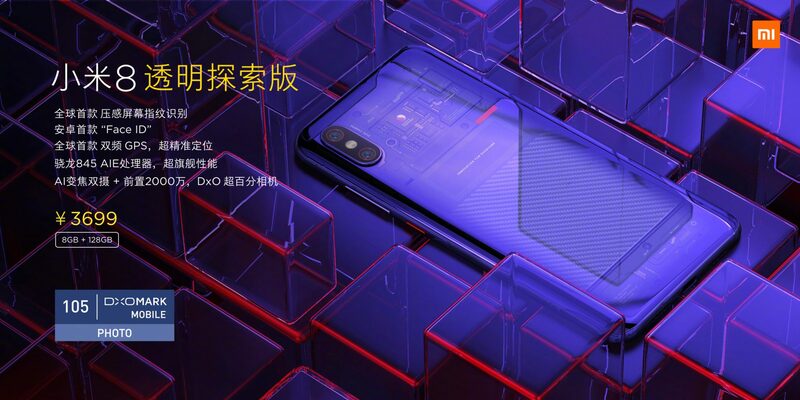 One of the highlights of the Xiaomi Mi 8 Explorer Edition is the transparent back panel, which is similar to the translucent rear panel of the HTC U12+. We can clearly see the internal hardware like the chipset, battery etc through the transparent panel. The power button gets a paint job too. The front remains the same as the Mi 8 and the phone does feature all the sensors for IR Face Unlock that are present on the Mi 8. 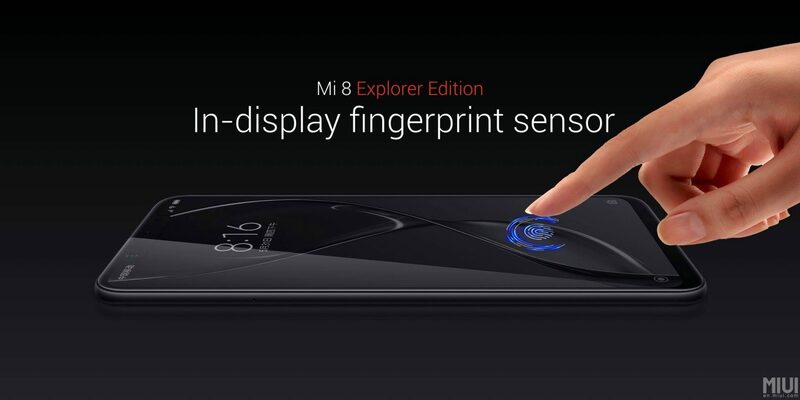 Another highlight of the Xiaomi Mi 8 Explorer Edition is the fact that it is Xiaomi’s first smartphone to feature an in-screen fingerprint scanner. We have seen only a few smartphones till now that feature this technology and it is good to see smartphone companies going for fingerprint scanners under the displays. The phone also comes with iPhone X-like Face ID technology that projects 33,000 dots via a dot matrix projector for an accurate Face scan. The specifications remain the same as the Xiaomi Mi 8 except for the fact that the device comes in just one variant – 8GB RAM + 128GB ROM. Also, the battery size is reduced from 3,400mAh on Mi 8 to 3,000mAh on the Explorer Edition. Talking about the pricing, the Xiaomi Mi 8 Explorer Edition is priced at 3,699 Yuan or $577. The phone will be available in China from June 5 and there is no official word on the global launch.